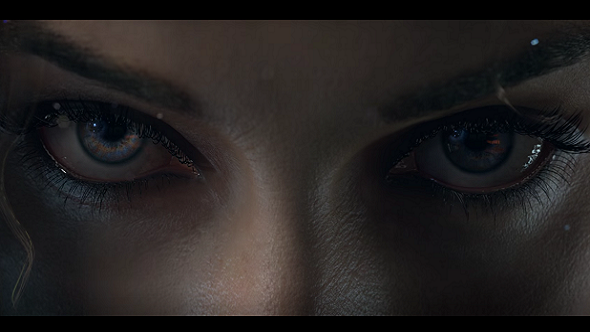 Cyberpunk 2077 is going to be authentic – that much is guaranteed. That’s because the creator of the original tabletop game, Mike Pondsmith, has been working very closely with CD Projekt Red, helping out with everything from systems to lore. Cyberpunk 2077’s release is likely a way off, but when it’s announced it will join our ever-expanding upcoming PC games list. It all started around four years ago when Pondsmith received a phone call from CDPR. At the time, he’d never heard of them. “I was imagining a tiny studio out in Poland that had done very little, and then I looked at The Witcher 2 and thought, ‘Wow. This is good. This is really good’. So I flew out to see them and realised they were genuine fans of Cyberpunk,” Pondsmith explains in an RPS interview. CDPR didn’t know Pondsmith all that well either, it turns out. Outside of his work on tabletop games, he’d worked in videogames before, too. This realisation led to Pondsmith helping out in building the game’s systems, as well as making sure the team at CDPR understood the core of the story and world. Mechanics in the tabletop game all serve a purpose, and rather than transferring them wholesale, he helped them figure out whether they made sense in a videogame adaptation. “We had a discussion at one point, for example, about flying cars,” Pondsmith says. “I have them in Cyberpunk because they are a fast and efficient way of getting characters from one end of a ruined city to another. And trauma teams are there because we don’t have clerics. It wasn’t a case of if they can, rather, it was one of if they should. Judging by some CDPR job advertisements, it was eventually decided that, yes, a videogame would benefit from flying cars.